In TERA you can gain equipment either from monster drops and quests, but one of more popular ways to get good gear is by crafting. 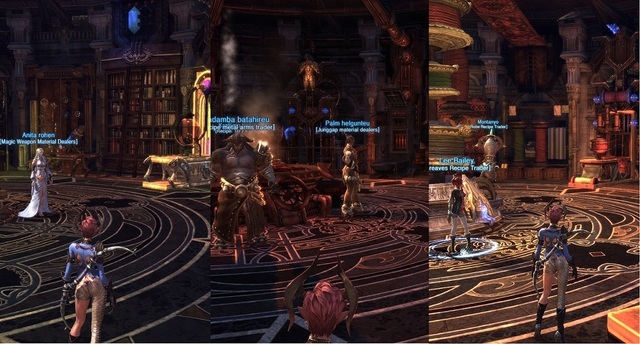 Professions are often very important in MMORPGs and they are quite helpful in Tera as well. Equipment you can get from quests can be useful, but it’s rarely of high quality, and unless you’re killing rare elites or bosses you won’t get good gear from random drops either. Crafting provides players with a good alternative to getting good armor and weapons, which is why almost everyone does it. To craft items you need to be at a crafting shop, and have both item recipe and materials required. 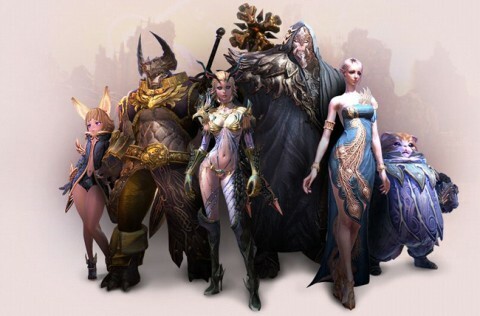 One important thing to note is that items in TERA come in different qualities: common (white), uncommon (green), rare (blue) and legendary (orange). I’m sure you noticed how familiar it is to other games, so if you played any MMORPG before you’ll feel right at home. As it’s often the case, the top quality gear is typically obtained from high-end raid bosses. However, that doesn’t mean that crafted items aren’t useful: you can craft rare items very early on in the game, and continue improving them numerous times. Improving items however can also fail, which reduced their quality, basically making improvements a gamble: every attempt consumes materials, and the higher quality item you try to improve the less chance you will succeed. For a few more details I suggest you see this article: Gear Attributes & Enchanting Guide. There are six different crafting professions in TERA: weaponsmithing, focus crafting, armorsmithing, leatherworking, tailoring and alchemy. Weaponsmithing professions enables you to craft lances, shields, axes, paired swords and greatswords. For materials it uses refined ingots gathered with mining. Focus crafting makes ranged weapons such as bows, discs (Sorcerer), scepters (Priest) and staves (Mystic). Materials required (energy crystals) are gained from Essence Gathering. Armorsmithing builds heavy armor used by Lancer and Berserker classes. Materials are also gained by mining, although you will need to purchase different patterns in order to level up your skills for ingots. Leather armor is worn by Warriors, Slayers, and Archers. This is the only crafting profession that doesn’t require a gathering one, as materials required (hides and leather) are gained from monster drops. As you might have guesses cloth armor is worn by Mystic, Priest and Sorcerer classes. Plant Gathering is a related gathering skill, and it provides fibers. Another obvious crafting skill is Alchemy, which supplies you with scrolls and potions. It can also make dyes to change the looks of your armor. Alchemy uses ingots (mining) and fibers (plant gathering), but also other materials refined from rare versions of gathered items. There are five different tradeskills that enable you to craft equipment: weaponsmithing, focus crafting, armorsmithing, leatherworking and tailoring. You can learn these professions as soon as you reach Velika by talking to the crafting NPC, who also sells materials and recipes. Attack Modifier: Your character’s Attack stat determines how much base damage you do. Your weapon adds significantly to this total. Extra Damage: Your character’s Knockdown stat determines the likelihood of putting an opponent on the ground while fighting, and varies widely by class. Extra Damage on a weapon increases your chance of knocking an enemy down. Additional MP: Equipping a weapon raises your maximum MP. Defense Modifier: Your character’s Defense stat is the second-most-effective way to reduce damage (the first being “don’t get hit”). The higher this value, the less damage you will take. But seriously, don’t get hit. Balance Modifier: If you’re not standing, you’re not attacking. More importantly, you can’t get out of the way of attacks if you can’t move. Not getting knocked down is a big deal. The higher your Balance stat, the better off you’ll be. Necklaces and rings have the same bonuses as weapons, while earrings have the same bonus stats as armor. You can gather materials around the world, you can purchase them from vendors or other players, get them with Pandora’s Box, or by breaking down existing items. There are three professions for gathering: Mining, Plant Gathering and Essence Gathering. Once you have the materials you will first need to turn them into something more useful: raw ore into metal ingots, plants into fibers, and essences into energy crystals. To do that you need to purchase required recipes from vendors or get them from mob drops. The good news for many players is that you don’t have to gather materials yourself if you wish to craft items. You can easily buy them from other players, as there is no particular benefit from leveling up your gathering skills (other than saving gold). You can also craft anywhere in the world, provided you have a campfire. 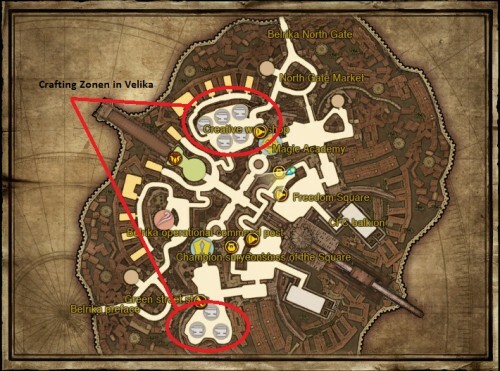 Additionally, at these locations you can also break down items and recover materials from them that can again be used in crafting other items. There are three levels of crafting proficiency. Level 1 is for 1-50 points. Level 2 is for 51-99 points. Level 3 is for 100 points. Every successful craft boosts your proficiency by 2 points. Every failed craft boosts your proficiency by 1 point. The description for designs includes the skill level required to use it and the materials required to craft with it. By opening your inventory and right clicking on the design, you can learn to craft the design. Crafting is done through this dialogue option. After opening the crafting menu click on the design for the item you want to create. This will show the ingredients needed for the item. You can set the number of items that you want to create, or just select to craft as many as possible. Crafting items will increase your crafting skill, allowing you to acquire more advanced designs. You can also use the Pandora’s Box to gamble crafting materials for a chance to win more (or lose) materials. 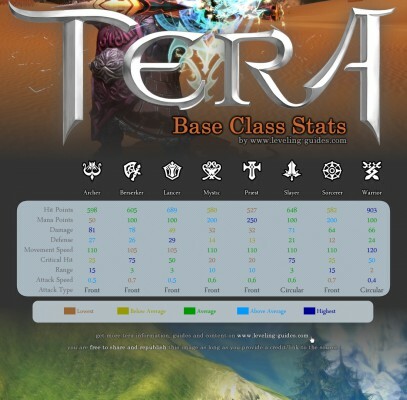 Tera also has an item enchantment system that enables you to upgrade certain equipment with others of the same type. Crafted items can be used to enchant gear acquired as drops to improve the item. Enchanted items immediately receive improved stats, and additional bonuses are acquired when the item reaches +3, +6 and +9 respectively. While crafting in TERA is optional, it does have its benefits. It’s easy to do, and it even helps you level up as it does give experience. At later character levels you can also increase your crafting skill by doing quests (visit a mission board, select the “Skill Level” tab and select the quest for whatever skill you wish to increase).